Material: Top Quality 100% Vietnam human hair. Dealing only with 100% vietnamese hair, especially from Vietnamese women having long hair without being processed or soaked in chemical substance, our products keep their softness and smooth. 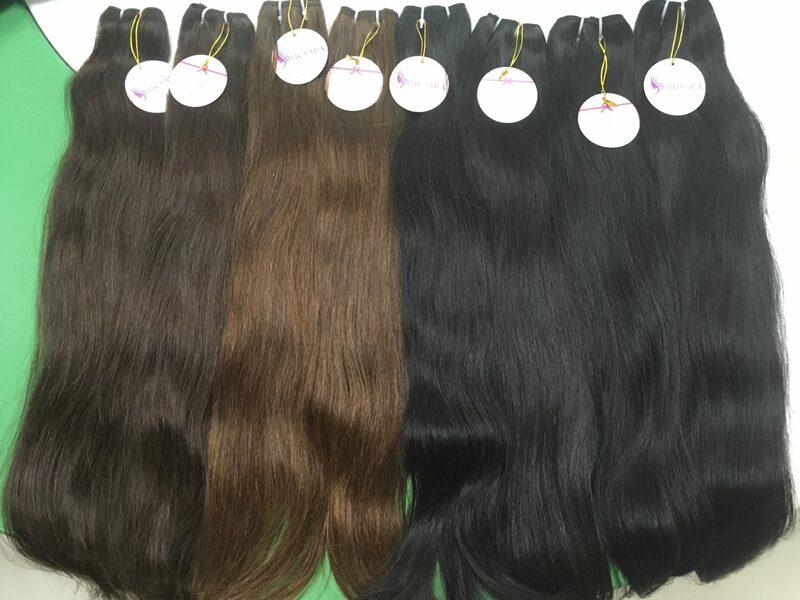 We supply various types for customers to choose: Straight, Curly, Wavy, etc. .with different levels of colors. I need to communicating with you even via whataap.i need weft machine first grade hair 32″and 30″ how much is it?